We've all spent money on a daily deal site. We see something we like. We see that it's significantly cheaper than it would be in-store. We click purchase. We feel good about ourselves. But what if there was a way to extend these positive vibes beyond just cost-savings? What if daily and online deals could go beyond providing consumers with less expensive products and businesses with inexpensive promotion? Michael Buckler, a former Peace Corps volunteer, engineer and intellectual property and trade attorney, has found a way to make this possible. By 2016, US consumers will spend $5.5 billion (around £3.2 billion, AU$5.9 billion) on online deal sites like Groupon or LivingSocial, according to BIA/Kelsey research. This figure represents $167 (around £97, AU$178) per US citizen, or roughly $1.3 billion (around £760 million, AU$1.38 billion) more than the gross domestic product of Malawi. Along with partners Lauren Corke, Ryan Dunn, and David Fields (all former Peace Corp volunteers), Buckler is in the process of creating an app, Village X, that provides consumers with discounts and deals, as well as an opportunity to donate to good causes. Buckler says he was inspired to create Village X after living in Malawi from 2006-2008 as a Peace Corps volunteer. There, he met locals living on less than $2 (around £1.17, AU$2.13) a day, constantly striving to develop their villages, but without the resources and institutional support to make their dreams a reality. He wanted to find a way to help these villagers, and others like them, but he was frustrated by the existing support systems in place. 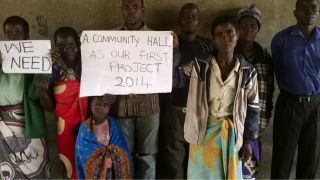 City-based international organizations attempt to help underdeveloped villages, Buckler acknowledges, but he says these organizations too often dictate the priorities of their work rather than catering to the needs of the village. The organizations, he contends, irresponsibly spend the money allotted to helping the villages on salaries and per diems given to those brought in to help. Buckler also scoffs at the amount of money wasted flying in volunteers and driving back and forth in gas-guzzling SUVs between tasks. Village X isn't the first online deal site with a charitable arm. Groupon, LivingSocial, DealGooder and SharingSpree are just a few of the organizations engaged in the space. However, Buckler says his team has developed a system that would enable donations made during online deal redemptions to be funneled directly to villages in need. His system matches socially conscious consumers and socially conscious businesses by promoting partner businesses and discounts every day, year-round within the Village X app. Promotions are redeemed by consumers through the app with the click of a button. As shoppers redeem their promotions, the app encourages them to donate to an identified grassroots project that is planned, implemented, documented and partially financed by an underserved community. Once consumers donate to a specific cause Village X's Store to Village System provides the giver with live mobile updates in the form of pictures and texts showing exactly how the money has assisted others. The app, Buckler says, benefits partner businesses by providing them with year-round promotion, stimulated business volume, goodwill or "business karma." Village X has five partners (mostly in the DC area, where Buckler's team is based). His goal is to have at least ten partners for the six-to-nine-month pilot phase of the app's rollout, which he hopes to begin in November. Village X partners include a wine bar, a home accessories store, a fair trade company, a downtown DC restaurant, and a neighborhood bar. "When I returned from Malawi, I scoured international development literature, trying to reconcile my experience on the front lines with the operations of the multi-billion dollar international development industry," Buckler says. "At Village X, we've flipped the concept [of charitable giving] on its head. We use our Peace Corps expertise to handle the development side, and, instead of aggregating and passing money, we assign money to specific projects, putting donors directly in contact with recipients. We call this approach 'people-to-people.'" Buckler hopes a similar people-to-people approach will provide Village X with the resources he needs to get the technology up and running. At time of publication, Village X had raised more than a third of what Buckler hopes to in order to launch the system in November. Can teaching kids to code change the world?